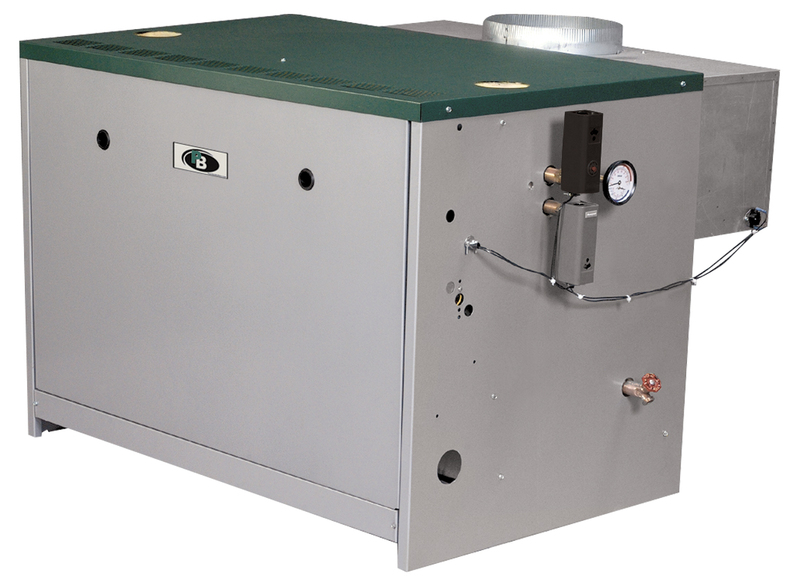 The gas-fired, cast iron Series 64™ boiler is an atmospheric, steam or hot water boiler with up to 83% combustion efficiency. 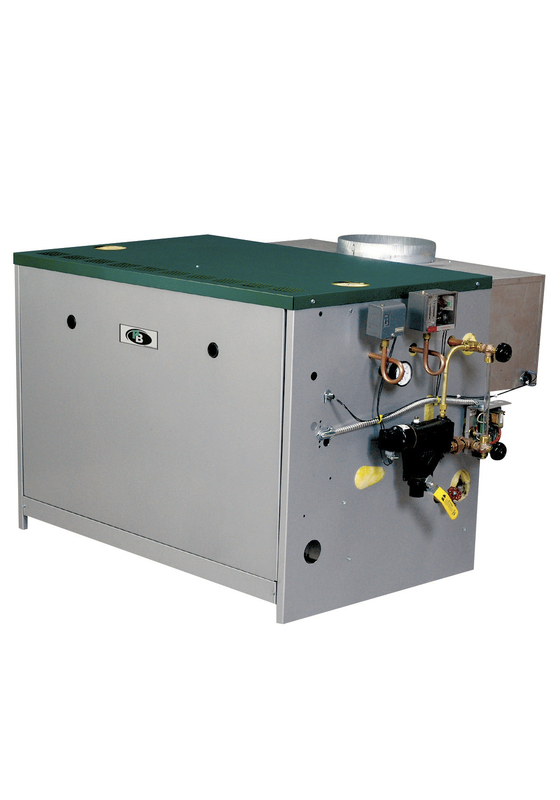 The commercial boiler features an integral draft diverter for applications with space constraints and large boiler sections with high water content for superior performance. 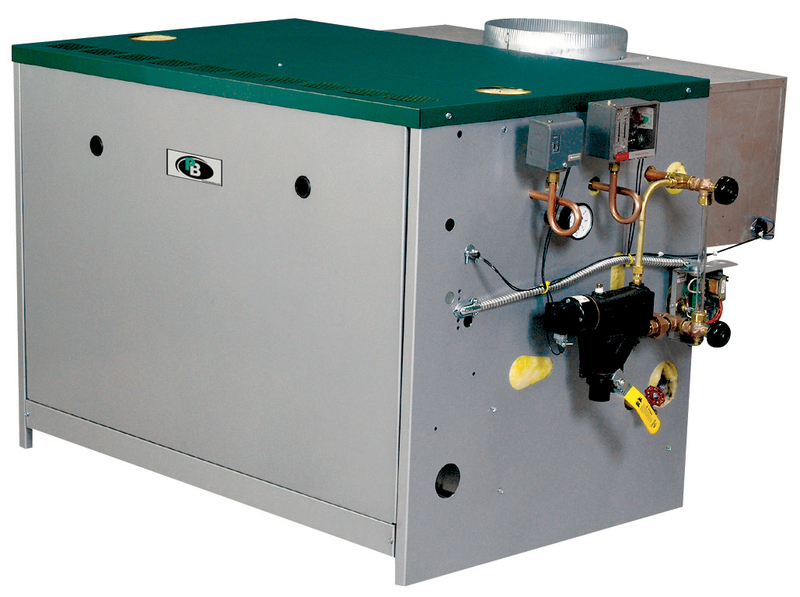 The boiler is available as fully-packaged or as a split-block, knocked-down boiler. Now Available – save time and money with complete Near Boiler Piping Kits, available for Series 64™ boilers. Click here for more information. Net Ratings are based on Gross Output less an allowance for normal piping and pickup as determined by the Testing and Rating Standard for Low Pressure Cast Iron Heating Boilers of the Hydronics Institute. Water ratings are based on a piping and pickup factor of 1.15. Steam ratings are based on a piping and pickup factor of 1.33. Consult PB Heat before selecting a boiler for gravity hot water installations or for installations having unusual piping and pickup requirements such as exposed piping, night set-back, etc. Ratings shown are for elevations up to 2,000 feet. For elevations above 2,000 feet, ratings should be reduced at the rate of 4% for each 1,000 feet above sea level. Minimum Natural Gas Inlet Pressure exceptions: 64-08 STDG 5.3”; 64-12 STDG 5.1”. Combustion efficiency and gross output are determined in accordance with ANSI Z21.13 / CSA 4.9, Gas-Fired Low-Pressure Steam and Hot Water Boilers. *AHRI Directory indicates inputs to nearest whole number. *For relief valve larger than 3/4″, use “K” boiler skim tapping. Do not increase the pipe size between the boiler and the valve.